ENDOSEAL MTA is a paste-type root canal sealer based on pozzolan cement that has excellent physical and biological properties of MTA. It is premixed and pre-loaded in a syringe that allows direct application of the sealer into the root canal without requiring powder/liquid mixing, unlike other products. The product has outstanding flowability and maneuverability, which makes it possible to completely fill the root canal system including accessory and lateral canals. 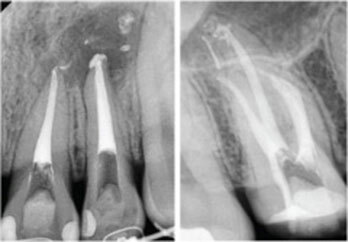 It is eugenol-free and will not impede adhesion inside the root canal. Change a needle tip right before use. Use the product at least once a week to prevent gelation. 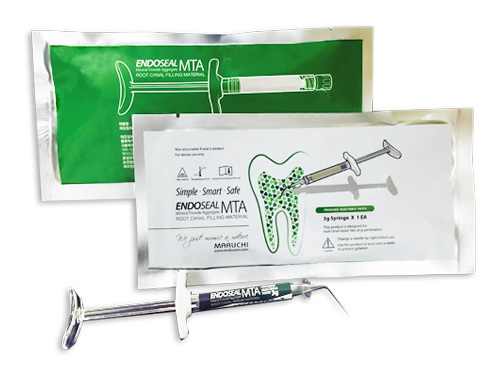 ENDOSEAL MTA is developed for root canal filling and root perforation repair, effectively preventing periapical tissue irritation as well as secondary infection.